This short trip allows to enjoy a part of the beautiful and fascinating trail of the Incas without having to camp, this short version is recommended for people who do not have the time to be prepared physically for a high trip. Early in the morning 3:30 A.M t0 4:00 A.M.from the main square next to the cathedral will pick you up in our comfortable bus going to the train station of Ollantaytambo, where we board Train 6:10 A.M. to follow the route of the Urubamba river until km 104, the route of the train where arrive around 7:30.am.in that place the tour guide will wait. Where we cross a footbridge to begin our trek at the archaeological site of Chachabamba (2150 m). 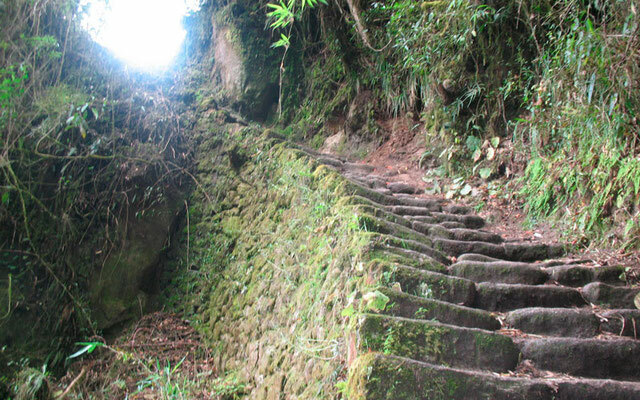 After a brief visit to this fascinating archaeological complex with fountains and water channels, we began the ascent of approximately four hours to take us to enjoy a panorama of the great valley, and then go through a fence to the complex cracked impressive archaeological Wiñaywayna (Forever Young). We rise to the largest and praise instead of the Inca Trail passing through a chain of ceremonial baths and elegantly curved or convex platform. Continue immediately after a mountainside and a lush rain forest filled with giant ferns and the diversity of broadleaf plants. Immediately thereafter, through a door (inti punku or door of the Sun) and our view is a majestic natural beauty and unforgettable work left behind by our ancestors, a twisting gorge and forested peaks. We crossed the final half hour, down the road that will be able to estimate the altars and buildings, so as they pass through the heart Machupicchu. Later we took the bus that took us to the city of Machu Picchu that people in 30 minutes, and spend the night in a comfortable hostel. We woke up early for breakfast and go about 30 minutes by bus to Machupicchu archaeological complex, where we enjoy a spectacular view of the city enigmatic. Our visit last about 2 hours all around the archaeological complex as precincts, plazas, and fountains, sacred temples, urban and agricultural sector. Later you will have free time to visit the archaeological After our visit we return to Aguas Calientes around 2:00 pm,We recommend to eat the lunch in Aguas Calientes the are many Local restaurants. Finally we take the train 18:20 pm to return to Ollantaytambo- Cusco, where we expected our transport to get to regocijo square Cusco, after 4 hours of travelling by train, by bus. 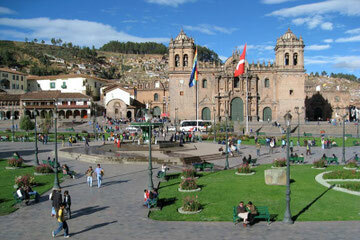 Transportation: from the main square-next to the cathedral – Train Station / Train Station – Cusco –the regocijo square. 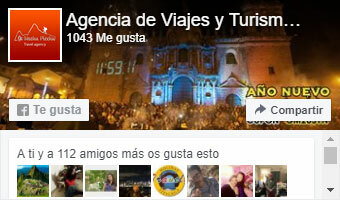 Expedition Train: Train Station – Km 104 (Chachabamba) / Aguas Calientes – Ollantaytambo-Cusco. 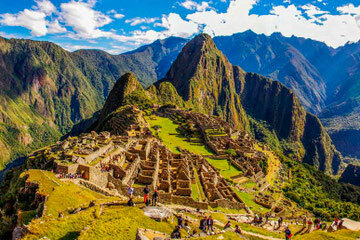 Entrance fees: To Inka Trail and Machupicchu. Professional bilingual guide: 1 guide for groups over 9 people. 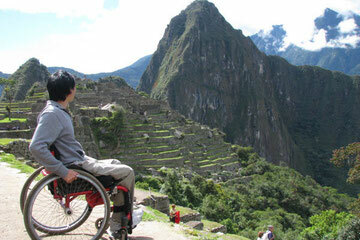 (Guided visit to the Inca city of Machu Picchu). Meals: 1 Box Lunch/1D/1B. Food vegetarian available upon request prior coordination.